As a side project to the One of Seven Project, I’ll be thru-hiking the John Muir Trail (JMT) on August 30, 2017. 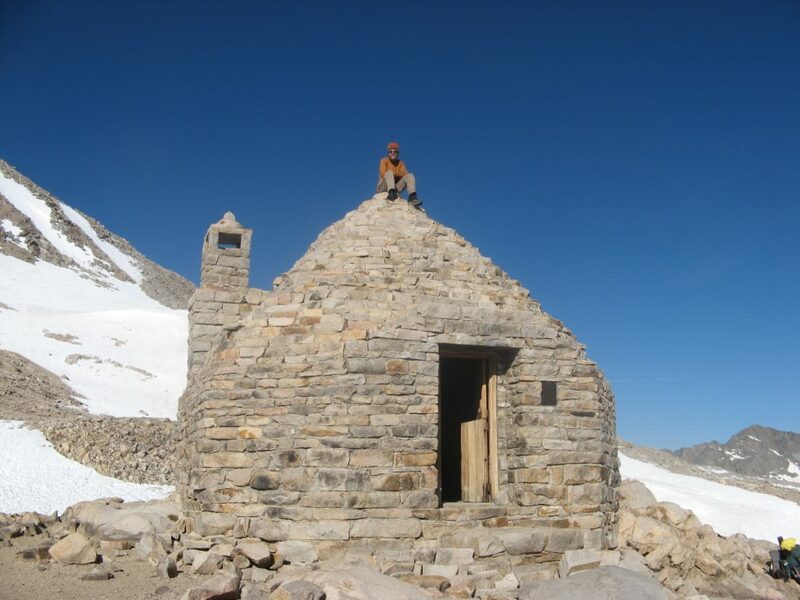 The John Muir Trail starts at the top of Mt. Whitney and ends at the Happy Isle Trailhead in Yosemite National Park. 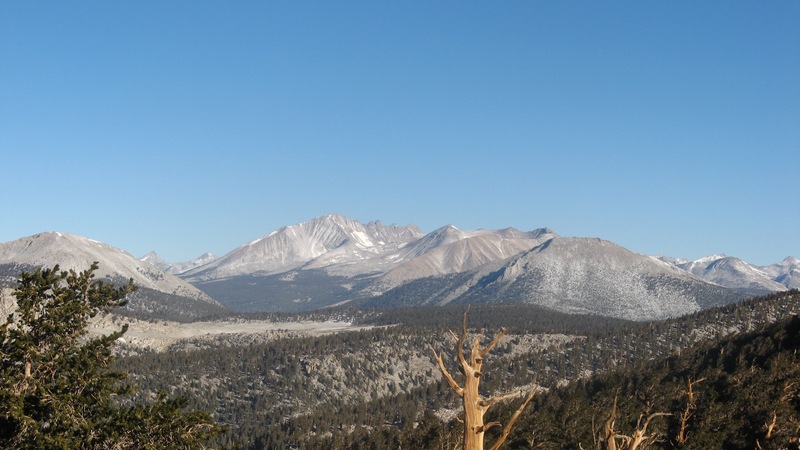 The trail is 210 miles long and traverses the High Sierras. 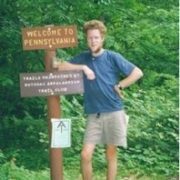 I hiked a good portion of the JMT when I thru-hiked the Pacific Crest Trail in 2007. The two trails overlap as they wind their way through the Sierra Nevada Mountains. The JMT is part of another Triple Crown, the Mini Triple Crown as it’s called in hiking circles. 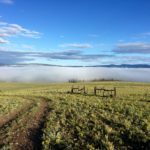 The Mini Triple Crowns consists of the Long Trail, John Muir Trail, and the Colorado Trail. I’d be lying if I said it wasn’t on my list to complete. 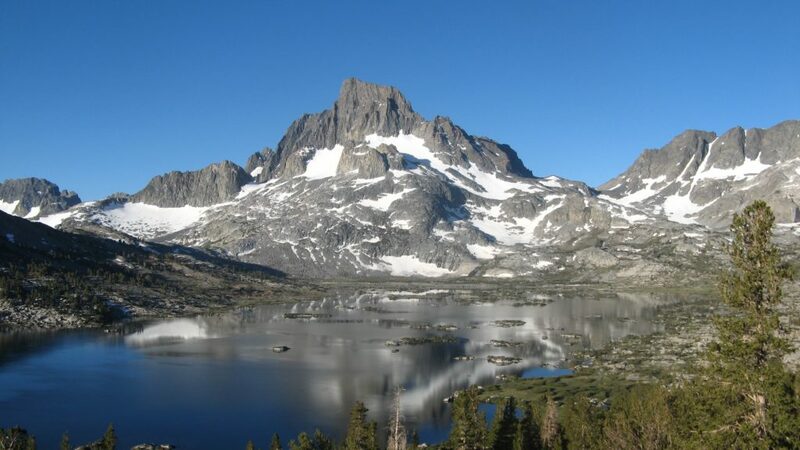 The JMT is as I said 210 miles long, has 47,000′ of elevation gain, and 7 mountain passes. It’s highest point is 14,505′ (Mt. Whitney) and it’s lowest point 4035′ (Happy Isle TH). Most of the trail lies above 8000′ and the southern 30 miles are above 10,000′. It traverses through three National Parks (Yosemite, Kings Canyon, and Sequoia), two Wilderness areas (John Muir and Ansel Adams), two National Forest (Inyo and Sierra), and one National Monument (Devil’s Postpile). The JMT crosses over six mountain passes over 11,000′. From north to south, Donohue Pass, Silver Pass, Selden Pass, Muir Pass, Mather Pass, Pinchot Pass, Glen Pass, and Forester Pass. 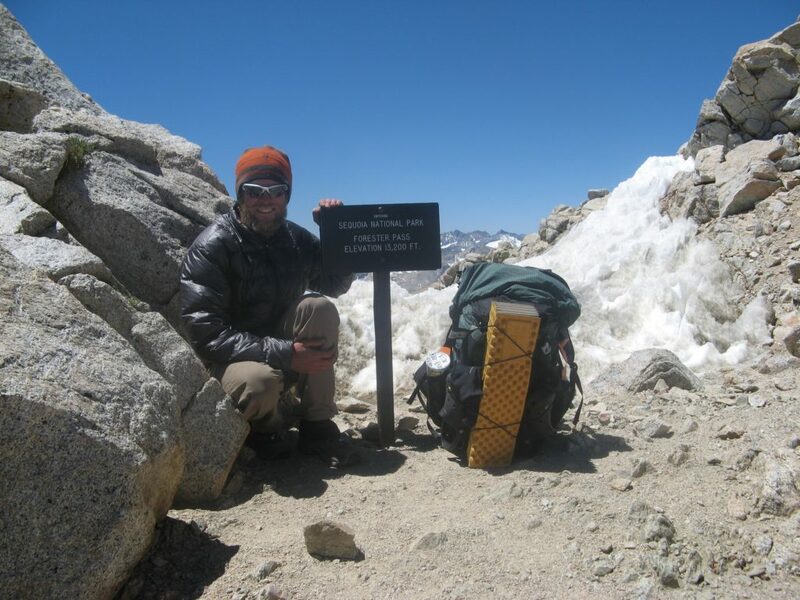 Forester Pass is also the highest point along the Pacific Crest Trail at 13,153′. Completed in 1938, the JMT took 46 years to complete. I will be hiking with my long time friend Scott Richardson of Incline Design Group. We’re hoping to average 20-22 miles per day, completing the hike in 11-12 days. 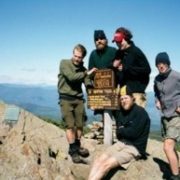 I’m super excited for this thru-hike. The Sierras are amazingly beautiful. I’m also looking forward to moving at a slower pace, where I can take in what’s around me. It will be nice not to be racing the clock as I have been all year. You can track my progress on my Spot page, as like before I’ll be carrying my Spot Tracker.